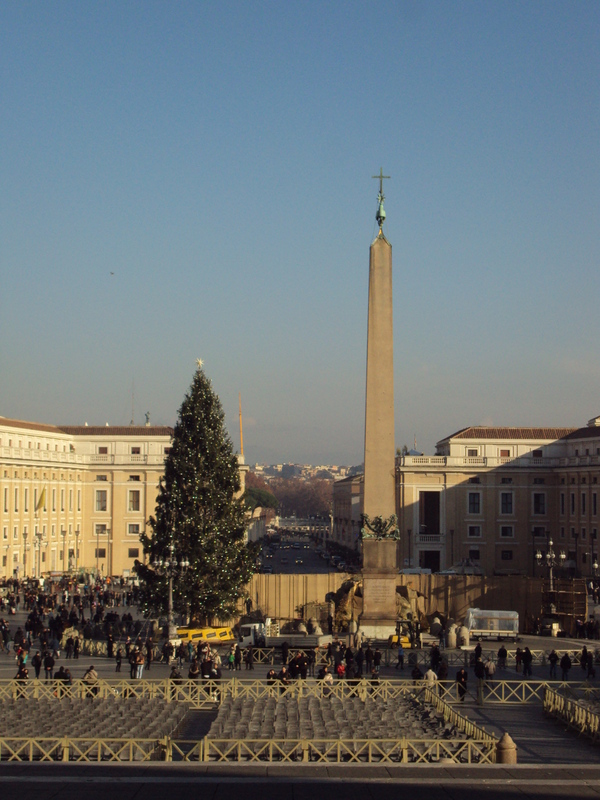 Given that it was Christmas Day we had planned to sleep in a bit and meet my family a little bit later (10:30) near the Vatican. 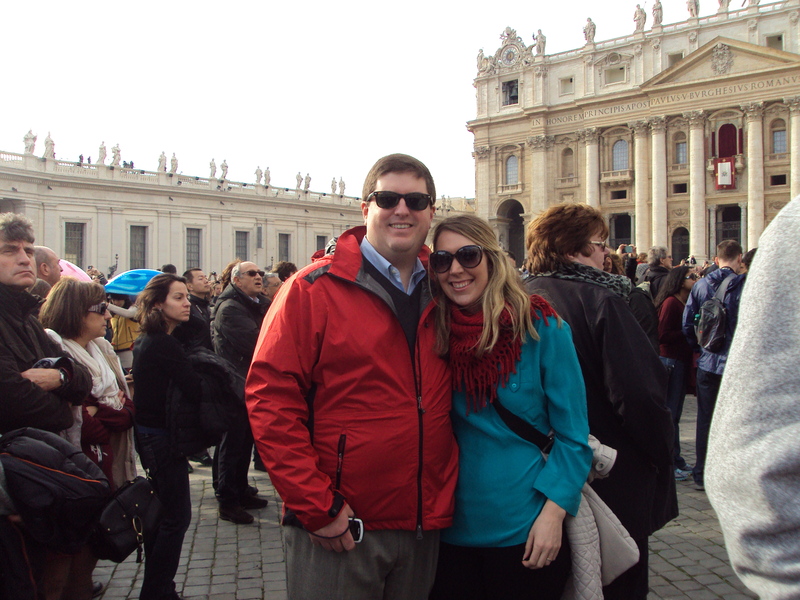 Our plan was to meet outside the Vatican walls and proceed into St. Peter’s Square in order to listen to the Pope give his Christmas address. Amazingly, our plan worked. 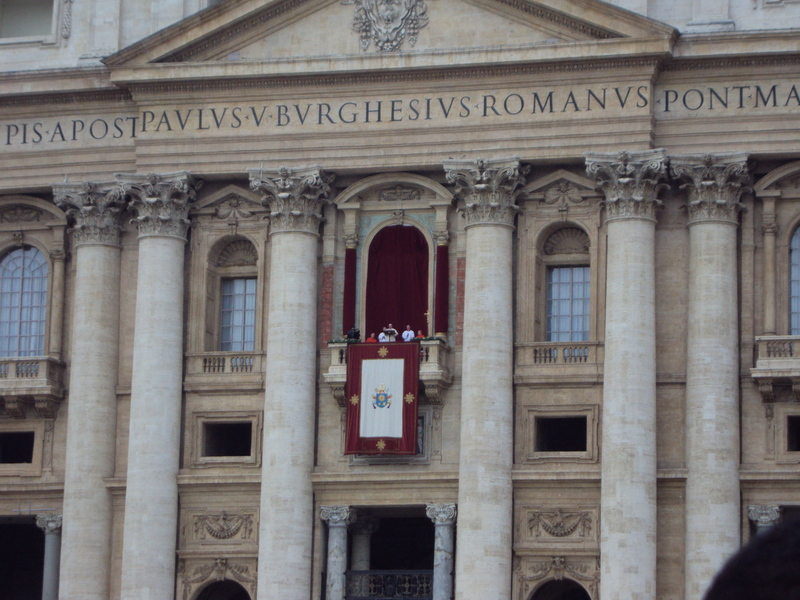 Some pictures from our time watching the Pope. Once the Pope was finished giving his Christmas address we had decided, as a family, to have a long late lunch for our Christmas day meal. We met the owner (Frederico) the previous day and he was at the restaurant when we returned ensuring we were well taken care of. It was a good experience and I think we all enjoyed the chance to spend a couple of hours together celebrating Christmas. 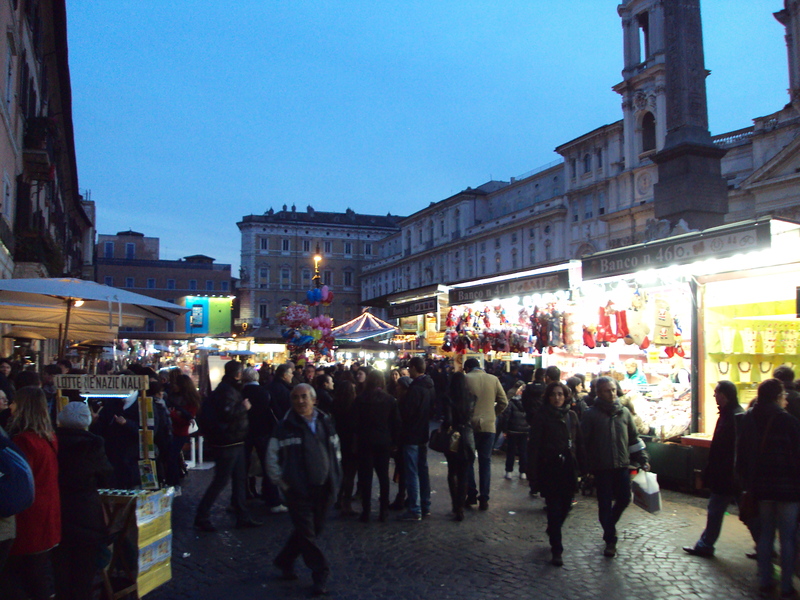 After our long meal (2.5+ hours) we strolled leisurely back towards the Spanish Steps doing some window shopping along the way. 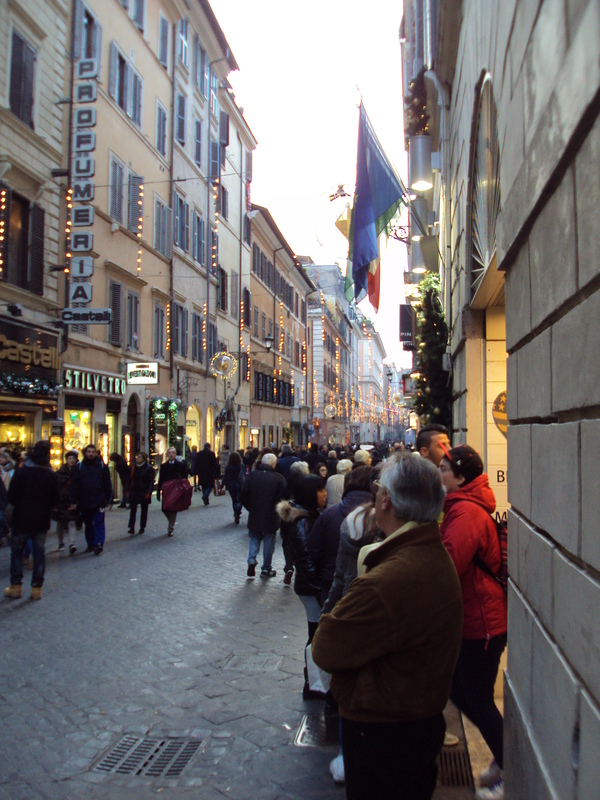 We were surprised, but happy, at the amount of people out and about on Christmas Day. Made for a very fun atmosphere. 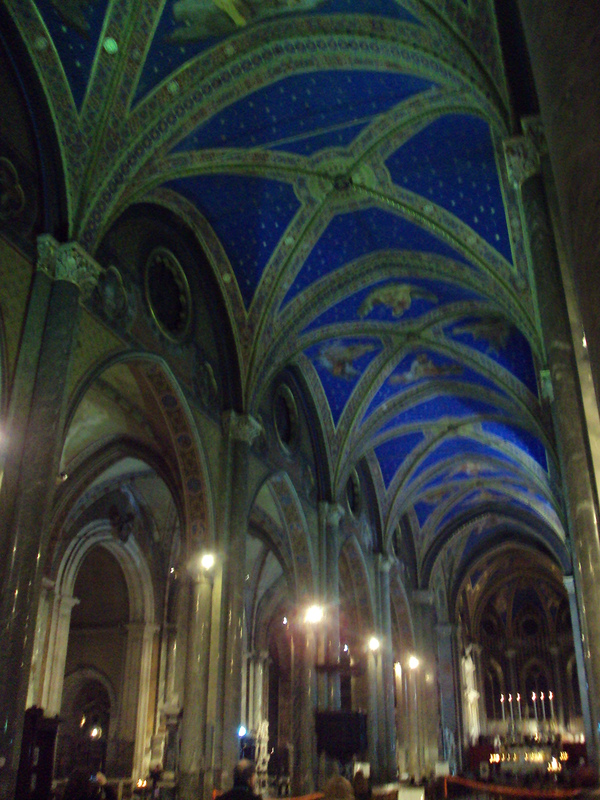 Sorry for the quality of the above picture but the lighting was difficult to capture just how magnificent the ceiling of this church is. We went there on the recommendation of the aforementioned Frederico and it was amazing. 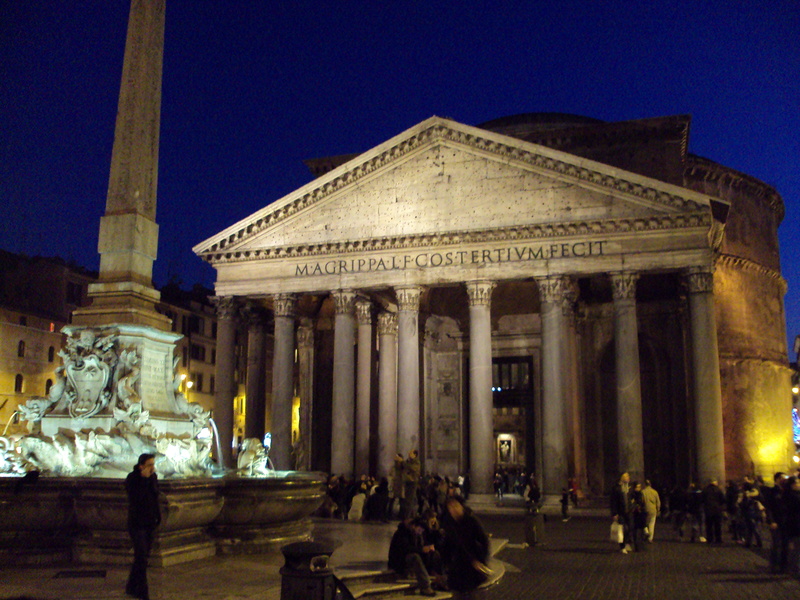 The church is tucked into a small piazza behind and to the left of the Pantheon. Well worth it to go out of your way to find this church. 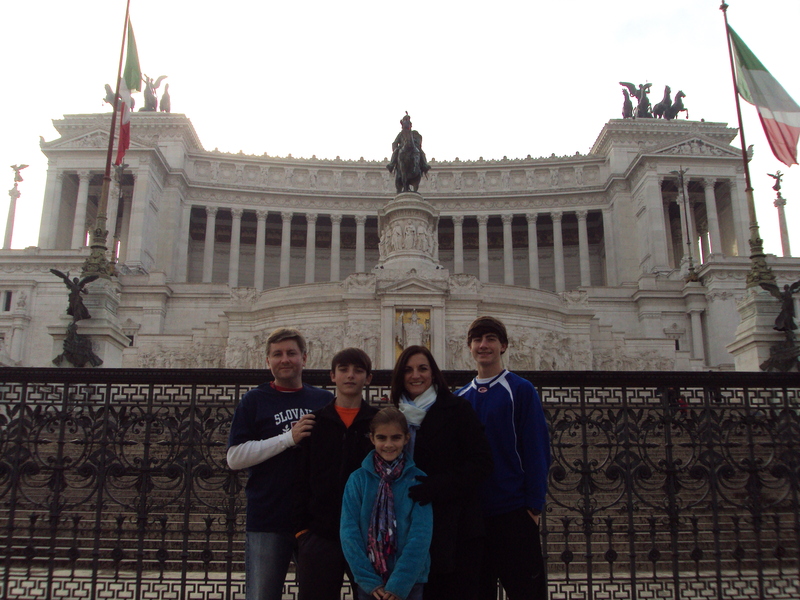 Alright, one more day in Rome with my family to blog and then we head our separate ways. My wife and I went on to Barcelona and the family continued onto Florence. Hopefully, I can get our Day 5 post out tomorrow. Until then, enjoy! 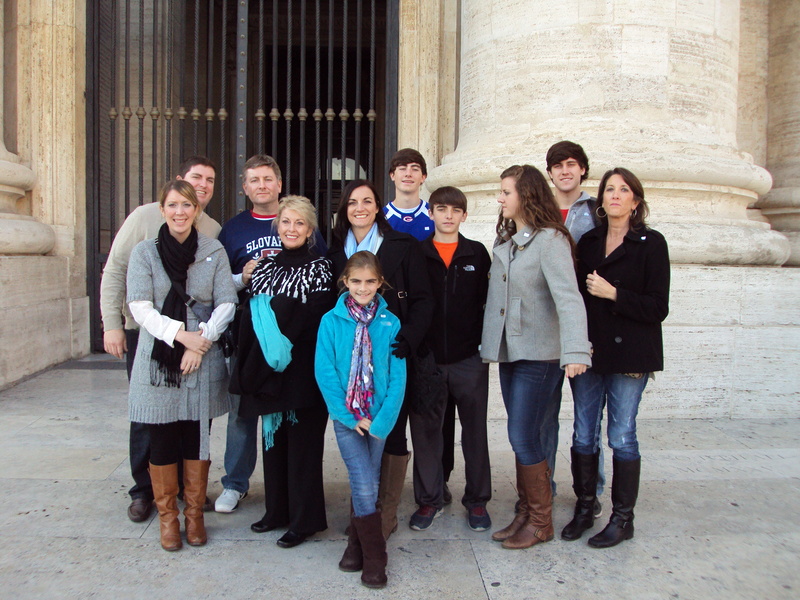 After our first day in Rome by ourselves, my wife and I were looking forward to joining up with my family for several days. 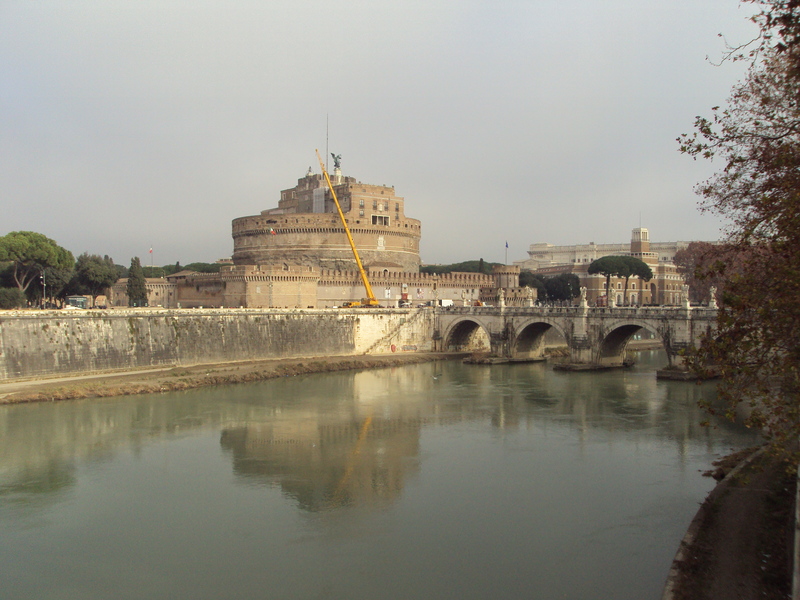 However, we were unsure if they had even arrived in Rome until after we ate breakfast at the hotel due to communication issues (As mentioned in the prior post my family had several flight issues and did not arrive in Rome until nearly midnight when they were supposed to arrive at 7:45 AM). After breakfast, my wife and I hopped in a taxi to meet my family at their hotel (Hotel Lirico)(Approximately 20 Euro). We had to take a taxi as the hotel shuttle leaves the hotel hourly and it was approaching 9:30, we didn’t want to spend an additional 30 minutes waiting. Plus my mother likes everyone to be “On Schedule” so I didn’t want to rock the boat the first day. For some reason or another I do not have a good picture of my sister and her kids. Sorry! 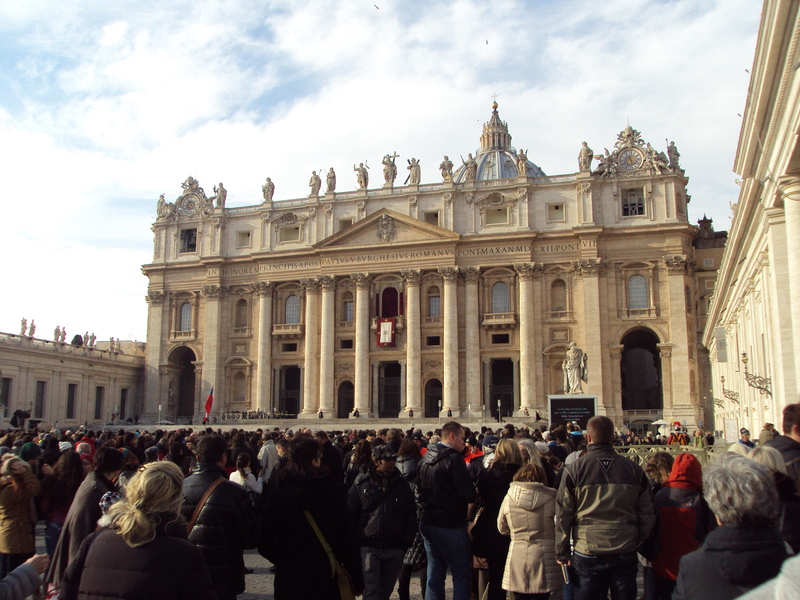 Since this was most of my families first trip to Rome (with the exception of my mother) I was very excited to see their reactions upon the first view of St. Peter’s. 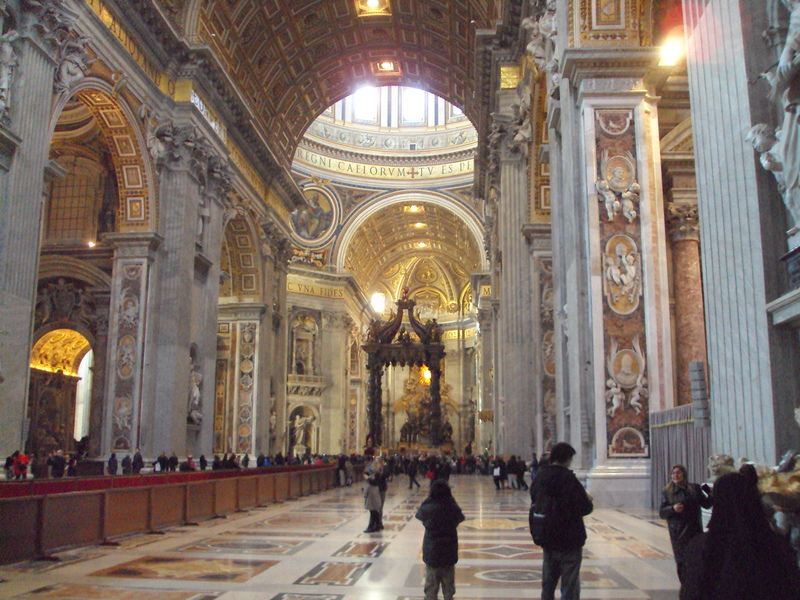 I have been to Rome 4 times now and each time you see St. Peter’s it is still amazing. It is bigger than real life. Here is the view after turning the final corner. Wanted to include one full group shot, perfect picture showing the difficulty in getting 11 people to do anything at once! 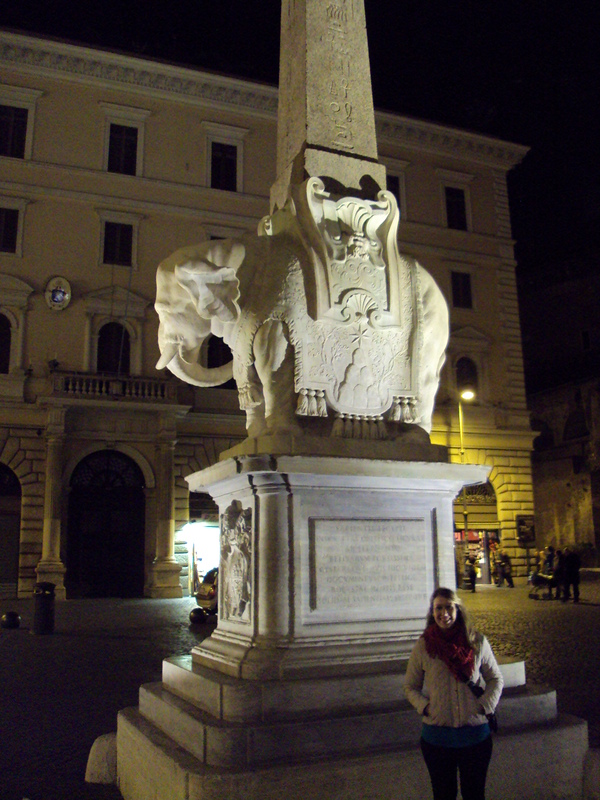 After the Spanish Steps my wife and I walked most of the way back to my families hotel with them as it was in the same general direction we were headed. We were able to catch the 8 PM shuttle returning back to the Rome Cavalieri from Piazza Barberini and promptly crashed upon returning to the room. Stay tuned for Day 3: The Forum and Coliseum. 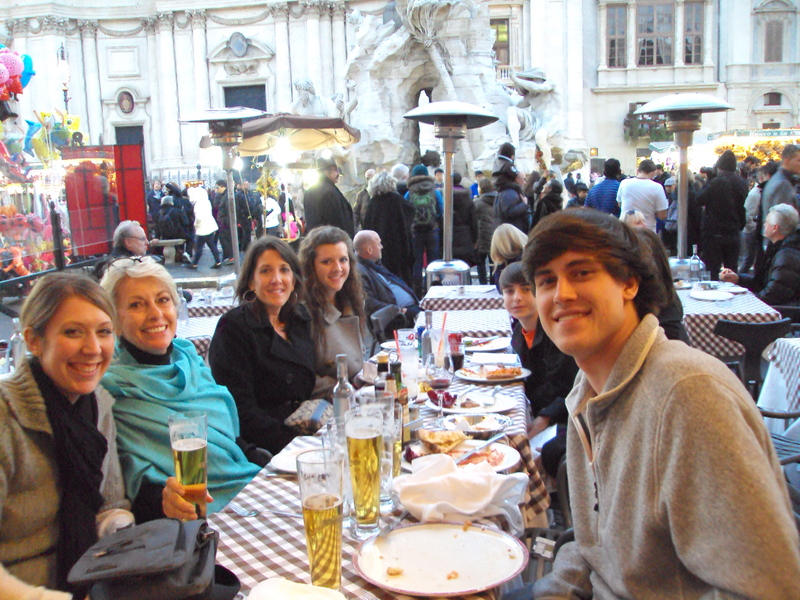 As mentioned in my introduction post, we were to spend 5 days in Rome with my family for Christmas. Our plans didn’t exactly work out as expected though. My wife and I live in Atlanta and were departing directly from there on Lufthansa (connecting in Frankfurt) while my family was flying Delta from Gulfport, MS – Atlanta – Rome. We had planned to meet up with my family in the Atlanta airport as our time there was going to overlap by several hours, however, their flight was cancelled out of Gulfport due to a “slight” fog. As there were no other flights out of Gulfport for the day it was up to Delta to find suitable rebooking options for 9 passengers. Amazingly, they found space on a New Orleans – Atlanta flight and paid for a van to drive them to New Orleans from Gulfport (1.5 hours). 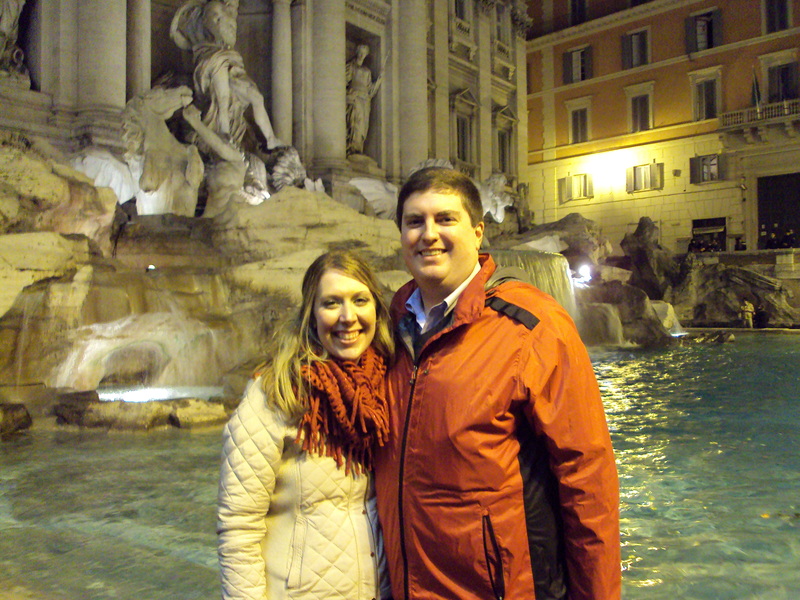 My family did not make their original Atlanta – Rome flight, but did make it onto the late-night departure from Atlanta to London with a further connection on Alitalia to Rome. As for the flights, we redeemed United Miles for our Lufthansa flights (100,000 per ticket roundtrip in Business). 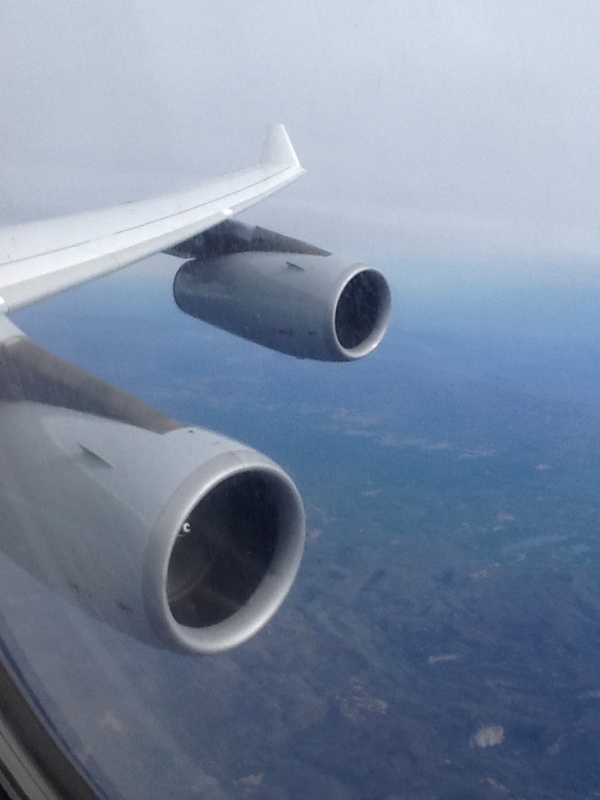 The Lufthansa flight from ATL is operated by an A340-300 and the flight from Frankfurt to Rome is operated by an A321. Lufthansa business class was OK for the most part, the seat was infinitely more comfortable than coach but is lagging other more modern business class seats from competitors. However, the food was pretty solid and the service was fantastic. All-in-all I felt like we received good value for our miles. 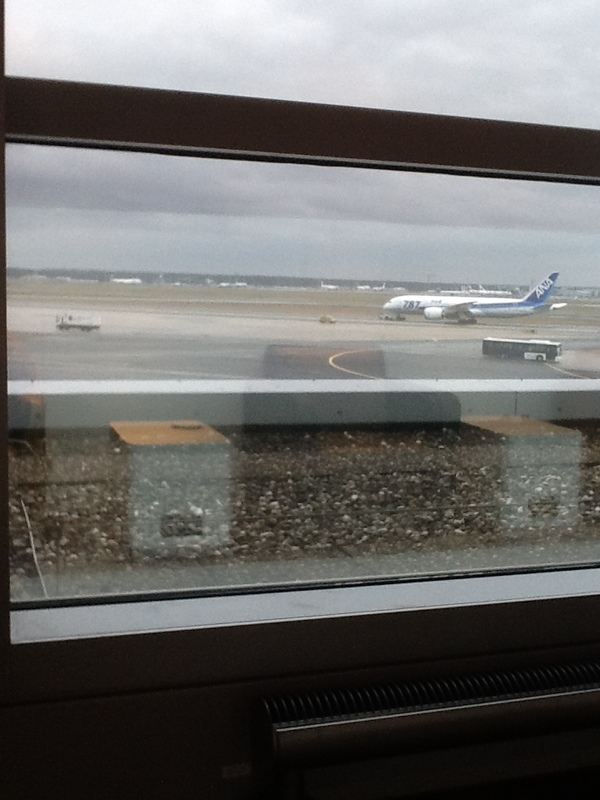 A little planespotting from the Lufthansa lounge in Frankfurt. ANA 787. Sorry for the quality of the picture, it was taken with my iPad. 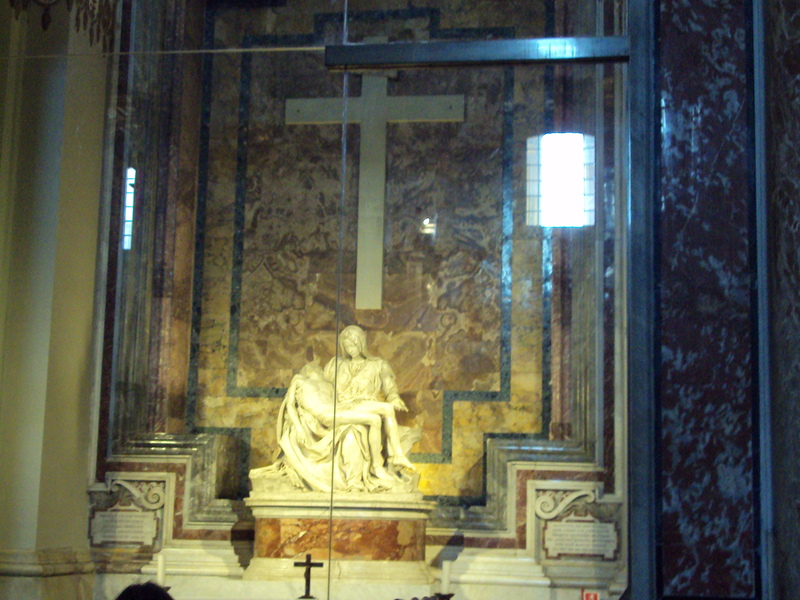 My wife and I arrived in Rome on schedule around noon on Sunday, 12/22, while my family did not arrive until nearly 10 PM due to the complications mentioned above. They were supposed to arrive at 8 AM so ended up losing one day on the ground due to the flight cancellation. Prior to leaving for our trip I had booked a car service from the airport to our hotel based upon the reviews on Tripadvisor, I must say it did not disappoint. 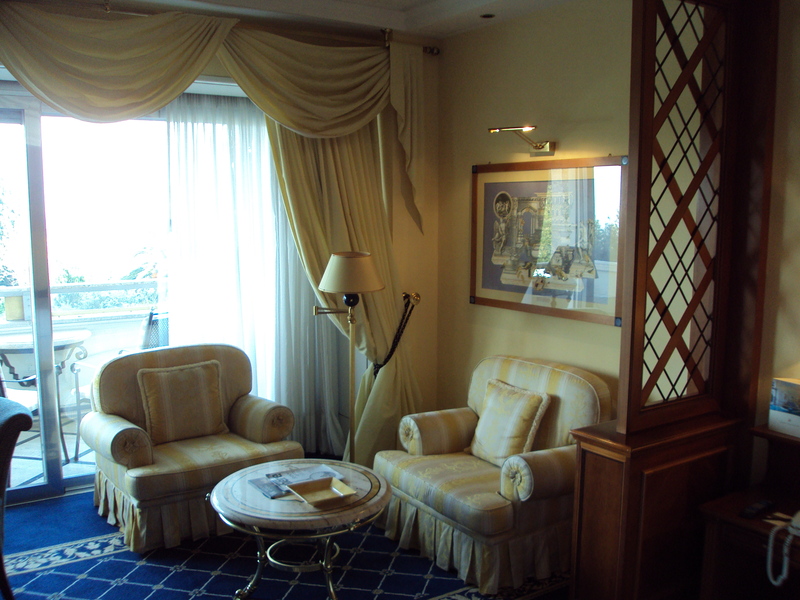 I would highly recommend using www.transfersrome.com for travel to/from the airport in Rome if your hotel is not near public transportation, such as the Rome Cavalieri. The cost is 50 euros and the driver was standing outside of customs with a sign with our name on it. Flawless experience. 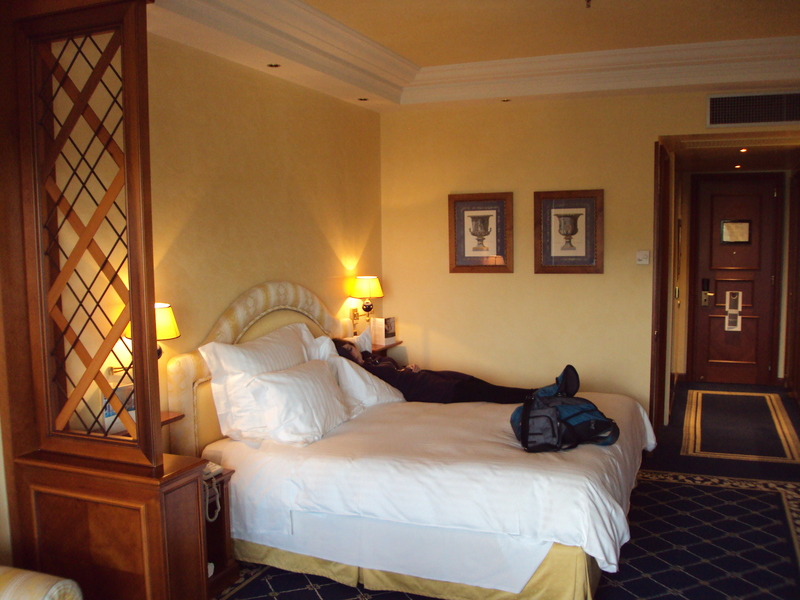 We booked the Rome Cavalieri, a Waldorf-Astoria Hotel, in Rome for 5 nights prior to the HHonors devaluation. I don’t have the booking confirmation with me but I believe it was 50,000 points per night for a standard King room. Upon arrival to the hotel a bellman assisted us with our bags and guided us to the check-in desk where we were promptly assisted by the front desk associate. The associate explained the features of the hotel, our benefits due to my Diamond HHonors status, and provided us a slight upgrade to a “City-view” room. I must also give credit to the hotel for allowing us to check-in before the standard time. 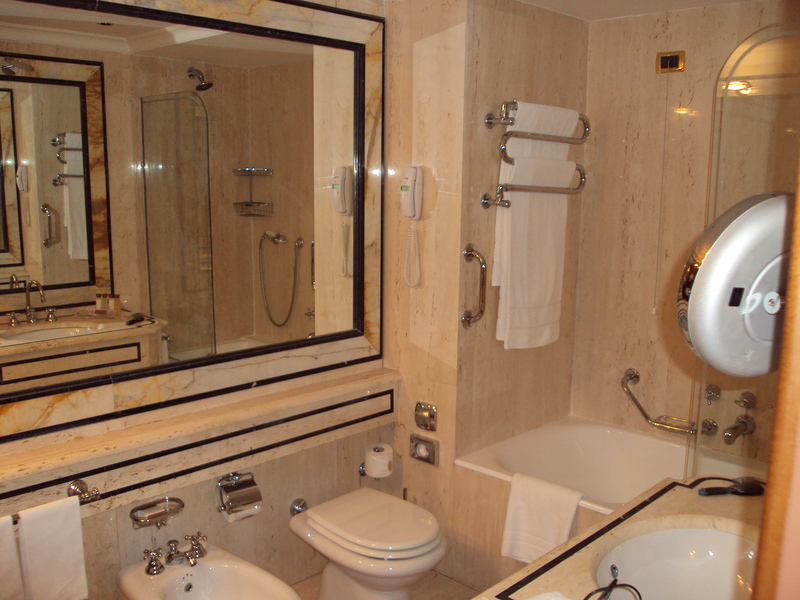 It was quite nice to be able to get in the room and shower after a long-haul flight. 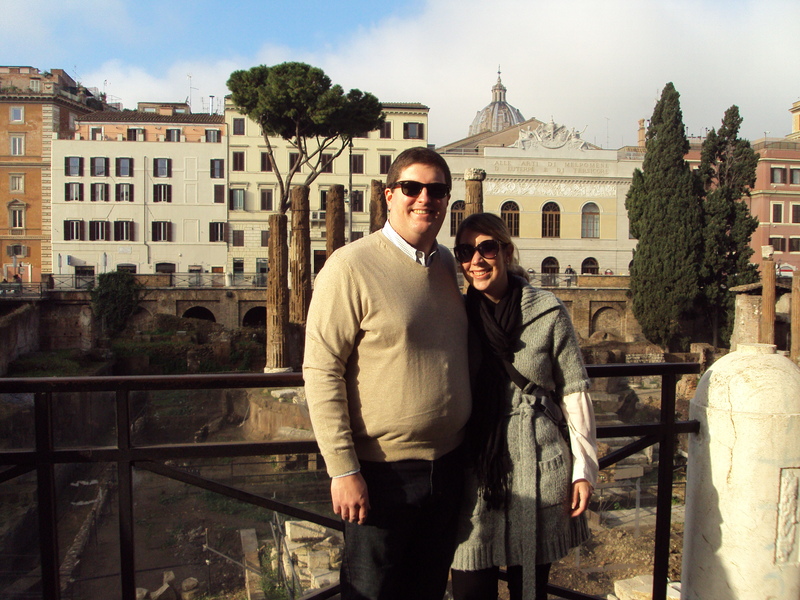 Overall, the hotel worked well for us since my wife and I had previously been to Rome. 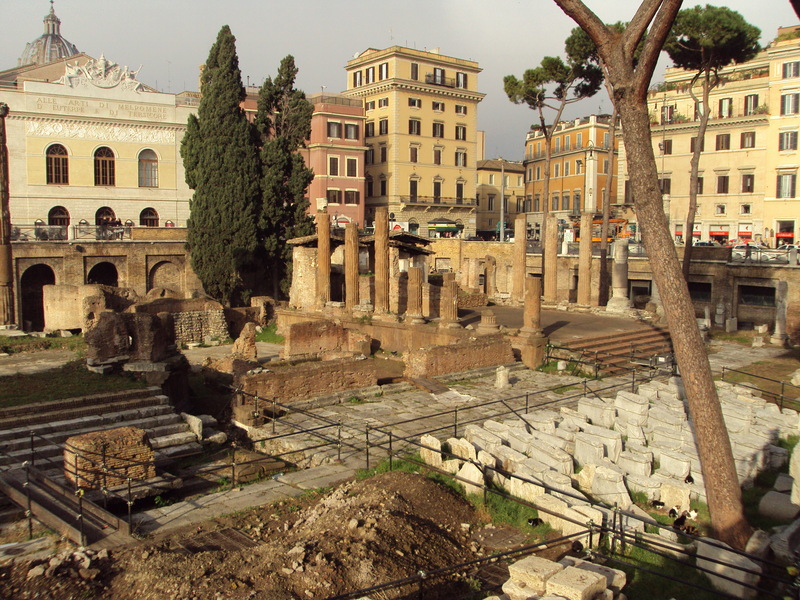 I would not recommend it to first-time visitors due to how far outside of the city center it is (the hotel does offer a complimentary shuttle hourly to Piazza Barberini). Our “Rome View” wasn’t quite as exciting as I had hoped. We were only given a room on the 3rd floor. 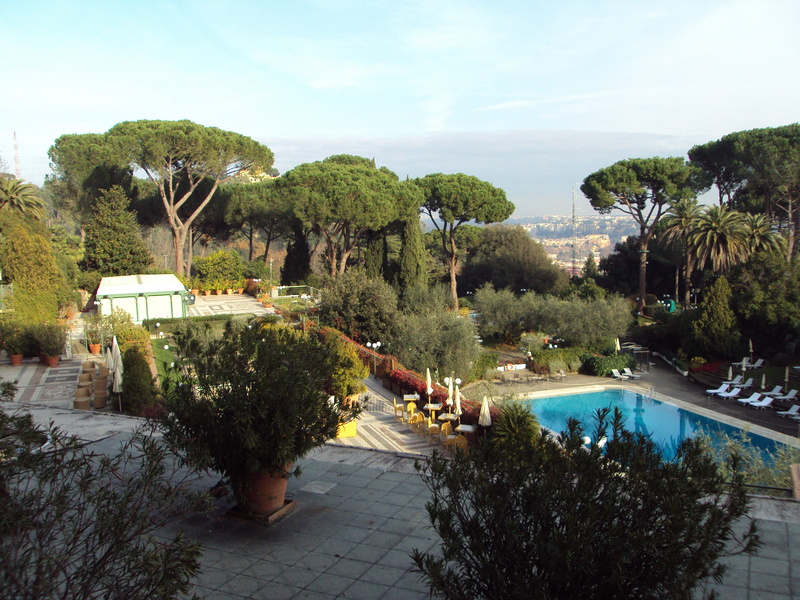 View from Balcony, Rome is just over those trees! After getting settled into the room and cleaning up, my wife and I headed out to walk around some. 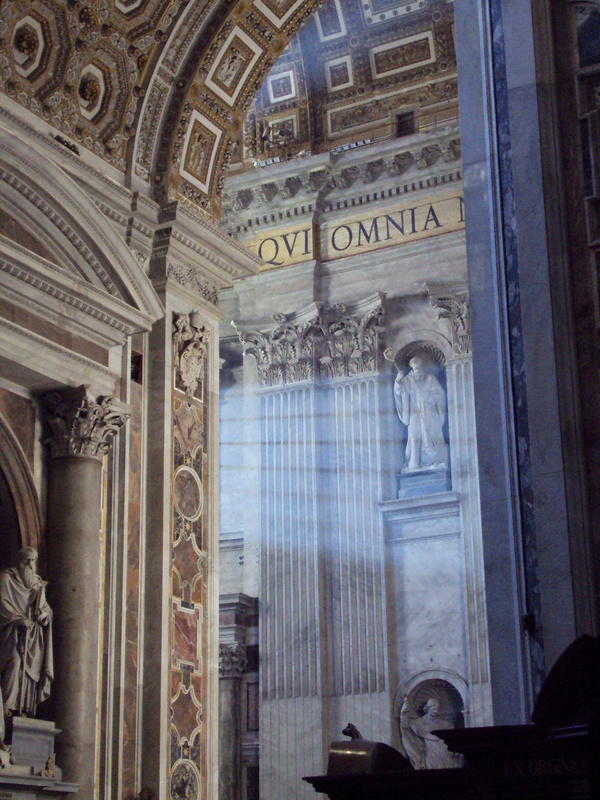 Since we had been in Rome only two years ago for our honeymoon we weren’t that interested in rushing out to see different sites. 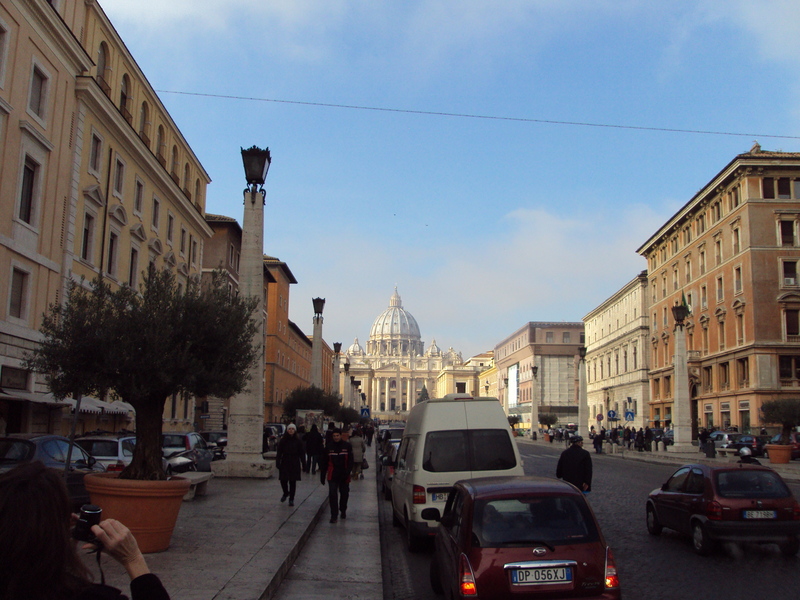 We took the hotel shuttle down to the city and began walking from the drop off location in Piazza Barberini. 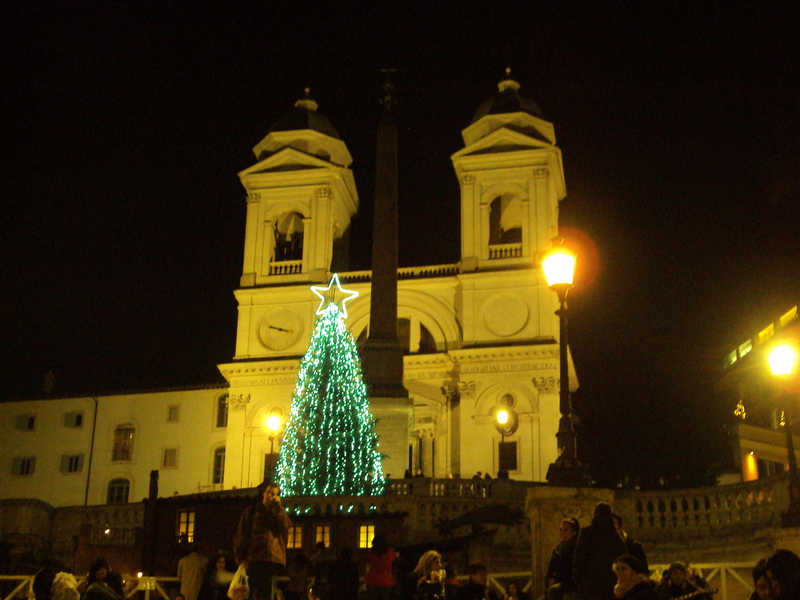 Nothing too exciting today but we did get a couple of good pictures of Rome decorated for Christmas. 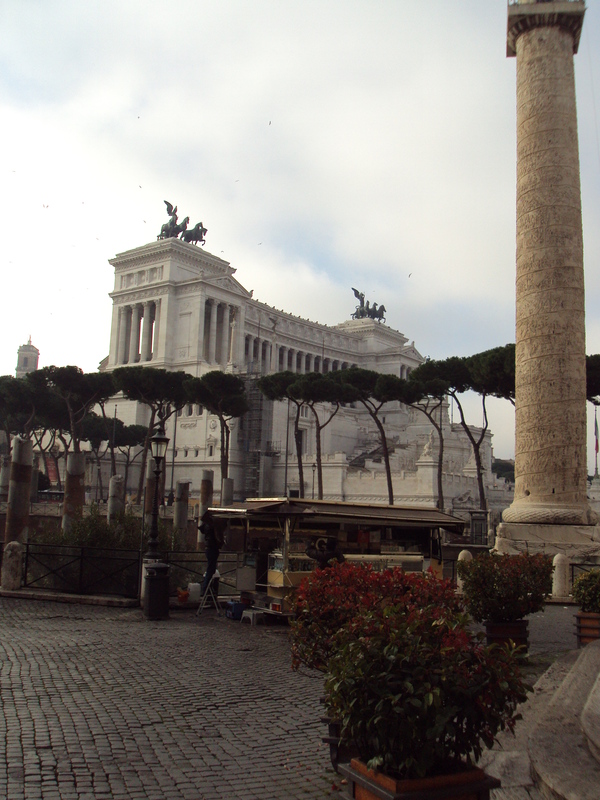 Stay tuned for Day 2, when my family finally joins us and the madness of travelling with 11 people through Rome begins! So, it has been a disgracefully long time since my last post. Close to 6 months. It was the result of a combination of factors and the most significant of those is that my wife and I relocated to Atlanta, GA this spring. Selling our old house and setting up shop in a new city presented a lot of time-consuming activities, plus I started a new job which has kept me quite busy for the past several months. That being said, I am making a commitment to begin posting more updates to the blog and will begin with this post detailing some of the upcoming travels we have booked through the end of 2013. In addition to those specified below, I am going to try and put out a few more in my travel photos series. September: No travel plans as of yet but I may try and get my wife to do a guest-posting review of the hotel she is staying at in Miami. November: No travel plans as of yet. December: Trip report from Green Bay, WI for Packers vs. Falcons game. Lufthansa Business Class from ATL-FRA-FCO, return from BCN-FRA-ATL. 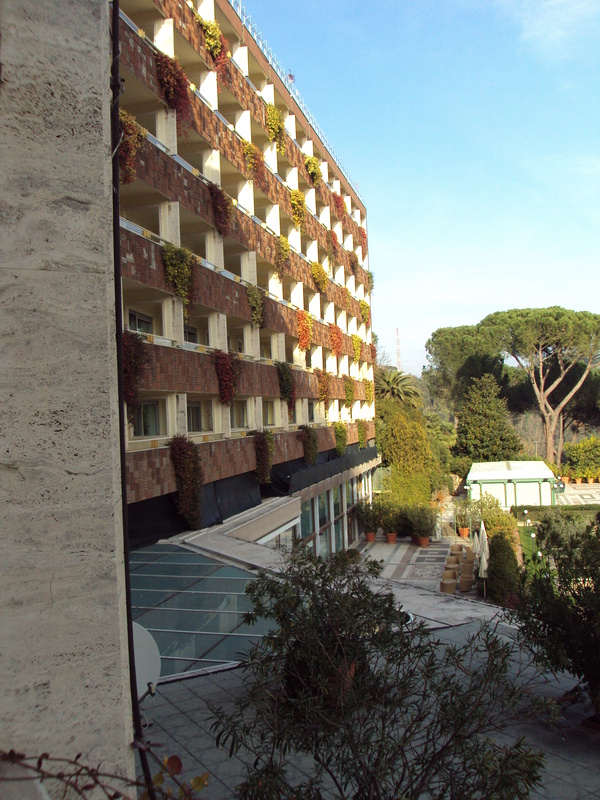 Rome Cavalieri, Waldorf-Astoria in Rome, Italy. Hilton Diaganol Mar in Barcelona, Spain. Trip report from the Rome/Barcelona trip.